“We want to see the bay, the beach and the deck full of the most mermaidy women in Bermuda! 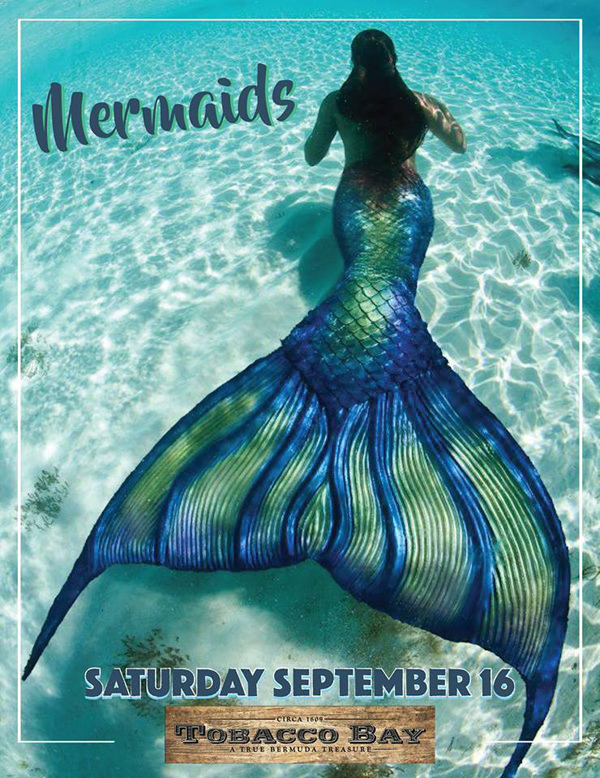 If you have a swimmable tail, mermaid costume, or even just a mermaid inspired bathing suit/ t-shirt or hairpiece: dress up and join the party! The event will feature “Bermuda’s hottest female entertainer: DJ PM,” offer mermaid braids for girls, mermaid inspired face and body painting, frosé [frozen rosé], seafood specials and more.